Mothers, like us, are the world’s best jugglers. We do everything for family, career, and money. That is why we are called supermoms. Being a mom is a 24/7 job, most moms work on a regular 9-5 job to provide for the material needs of our family. Afterwards, moms go home to take care of the family. There is no such thing as “clocking out” when you’re a mom because you are always on the job. It’s no wonder that some moms take themselves forgranted and even get depressed at times. Recognizing the importance of moms and the challenges that they face, Cecon hosted a Supermoms Event last September 6, 2017. 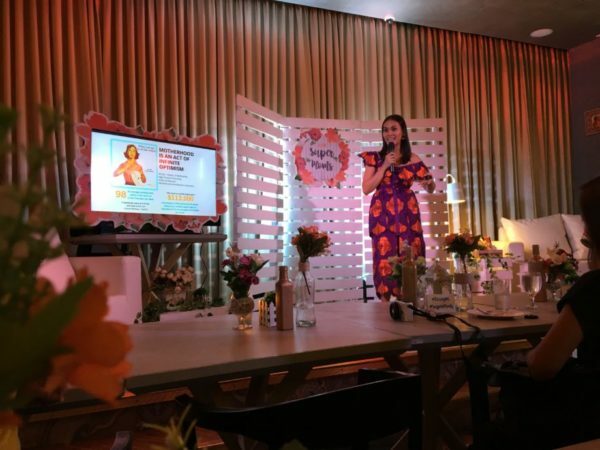 The Cecon Supermoms Event was held at Cafe Del Mar in Venice Grand Canal Mall, McKinley. Moms were given a power boost via tips on how to maximize time with your kids and the importance of having “Me Time”. The two amazing women who shared these motherhood tips are also supermoms themselves. Entrepreneur Kristel Urbanski is a mother of two boys and the founder of Glebe House Manila which offers early childhood education. Kristel spoke about the challenges of being a mom and shared tips on how to survive motherhood. She also stressed the importance of having some “Me Time” to do the things you love. 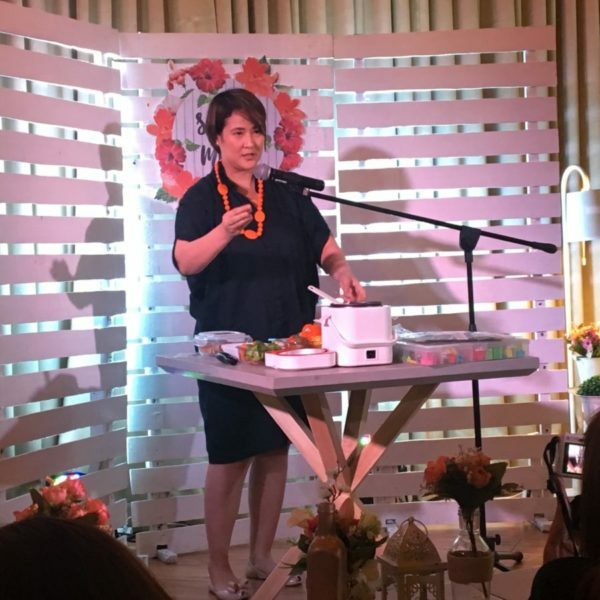 Kat Maderazo was also at the Cecon Supermoms Event to dish out some tips for moms. Kat is the woman behind Bento by Kat which is an instant hit among moms. Her bento creations make veggies look appetizing for kids. Thus, helping moms make snack time fun and healthy for the family. Kat has been featured in popular magazines like Yummy, Food, Working Mom, and Candy. Preparing meals and taking care of the kids is just the tip of the iceberg in a supermom’s to do list. There are household chores, budget tasks and a whole lot of other things to do in order to keep the household running smoothly. As such, it is important for moms to take care of their health too. Aside from the tips given by Kristel and Kat, it also helps to have our own power boosters. Eating right and working out regularly keeps us fit but a daily dose of Cecon helps improve our body resistance. It gives you extra energy for all your tasks and strengthens your defence against common illnesses. And so for supermoms out there, don’t forget to take your armor of protection every day. 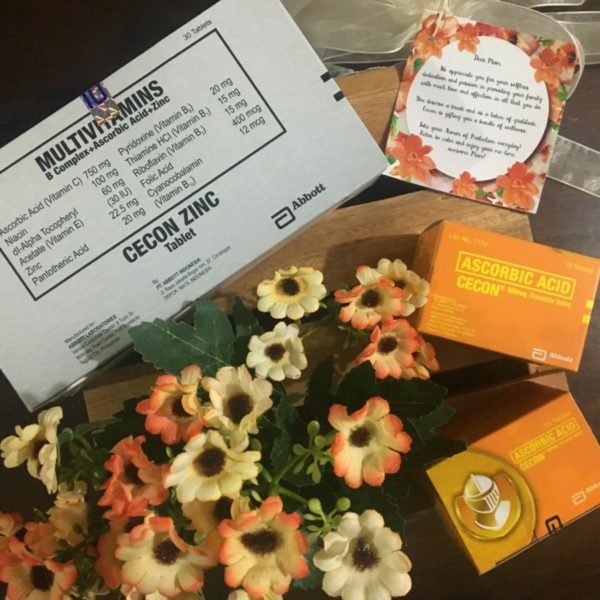 Take Cecon daily.